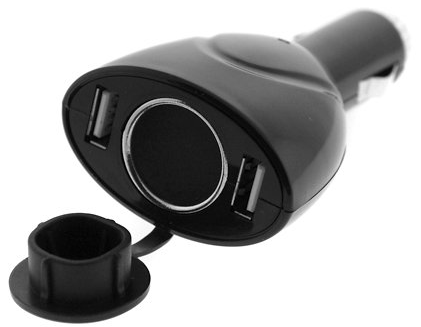 2-Port USB Car Charger Just $3.52 SHIPPED! You are here: Home / Great Deals / Amazon Deals / 2-Port USB Car Charger Just $3.52 SHIPPED! Head over to Amazon and get this 2-Port USB Car Charger / Adapter with Extra Socket for just $3.52 (reg. $14.99)! And, it will ship for FREE! This has been on my list to buy for a while and I just never did it. I’m grabbing this deal!